Did anyone ever do 300 DPI renders of these? I'm in possession of XLHQ renders of Vintage Masters and Tempest Remastered now, these are the remaining online-only booster releases. I have all the Masters Editions rendered, but I don't have all the high res art for the cards. I can continue to look for high res art and rerender the sets when I have them. All four of the Masters Editions are in HQCG with current gatherer text, is that what would be preferred or original text? ahkren wrote: I have all the Masters Editions rendered, but I don't have all the high res art for the cards. I can continue to look for high res art and rerender the sets when I have them. All four of the Masters Editions are in HQCG with current gatherer text, is that what would be preferred or original text? I was hoping to do them with period-appropriate text. I actually snagged downloads of old Oracle off of the Wayback Machine for this purpose, I just haven't gotten around to actually parsing them into something your card gen can read yet. I could share the files up. In terms of the art I was intending to just use the scanned XLHQ art rather than try to locate original images for everything, since 100% of the art in these sets is based on paper releases. If you have the original text that would save a bunch of time. I'll pull together something to parse the file into something for cardgen. I can then pull the XLHQ art for each of the cards into the proper folders and do the render. Sent the older Oracle versions I was looking at over. I disagree with using original text for these. 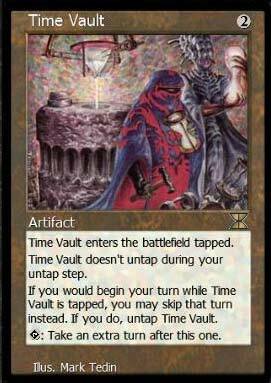 To date Wizards has never used legacy text on newly released cards. Modern reprint sets like Modern Masters use the M15 card frames and oracle text. Our goal has always been to represent cards as they are printed, and while digital cards are a different beast, I think they should be represented with oracle text at the time of their release. That's just my opinion, and it really doesn't matter one way or anther when it comes down to the release. Maybe we can do both? FYI the Gatherer pages have a "Printed" text tab, which in theory should the original text rather than the oracle text. Although I believe it's only accurate for 7ED and on. skibulk wrote: I disagree with using original text for these. 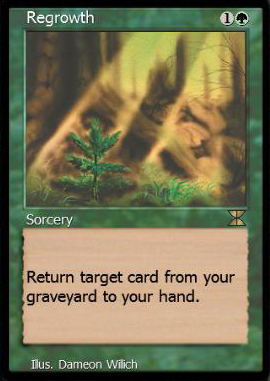 To date Wizards has never used legacy text on newly released cards. Modern reprint sets like Modern Masters use the M15 card frames and oracle text. Our goal has always been to represent cards as they are printed, and while digital cards are a different beast, I think they should be represented with oracle text at the time of their release. To be clear, I pulled down Oracles from 2007 - 2010 to try to get card texts as close as possible to what they would have been at the time of each Masters Edition release. I couldn't find a source with a full history of all Oracle changes, but these texts should be within a few months of each digital release. EDIT: akhren, I realized while answering a different unrelated thread that this might be much simpler than I thought. mtgjson.com has json files for all four of the Masters Edition sets with "original text" fields populated. Based on just a couple spot checks, it appears that this original text field is accurate to their digital release. Okay that's how I think it should be. I miss-read your post. Thanks. @charlequin the json is looking to be much easier to parse, thanks! I'll have something for people to look over by tomorrow as long as I don't run into something unforeseen. Here's a subset of Masters Edition in Eighth Edition frames. Let me know what you think or if I should do Pre8th frames. I will put on a full border when I do the complete render. Last edited by ahkren on 22 Dec 2016, 01:29, edited 1 time in total. For 5E cards, the frame itself before any black borders should come out to 670 x 960. Text rendering all looks great. I'll change the frames to the Pre8th borders. Having some issues with the PT positioning on Angry Mob, but the others look good. Here is the first run of Masters Edition with borders. Removed If this gets the OK, I'll do the other sets in the same style. Edit: Fixed Angry Mob. Should be good now. Some of the artwork looks heavily compressed. Are you using all digital versions, even if the quality is low? Can we substitute card scans where the quality is <250 DPI? I'm not sure how you're searching for art, but I would like to suggest dropping low res jpgs into google images and tineye - to search for high res versions. Edit: Shouldn't Angry Mob be "*/*"? I realize the original was *+2, but this is a reprint set and with the centered copyright line, it collides. I have all the scans on my desktop at home, I've been working with what I have on the laptop at the moment. I'll replace the artwork before I do a final render. For Angry Mob, all gatherer versions have it at 2+*/2+*, originals and current oracle text. Agreed it looks strange with the centered copyright. The options I have are to change it to */* as you suggest (which wouldn't match the printings), shrink the font (which looks odd), left align the copyright and artist lines to more match the original (which wouldn't match the rest of the set), or move the PT and copyright text a couple of pixels farther away from each other. I am open to suggestions for what would look best.